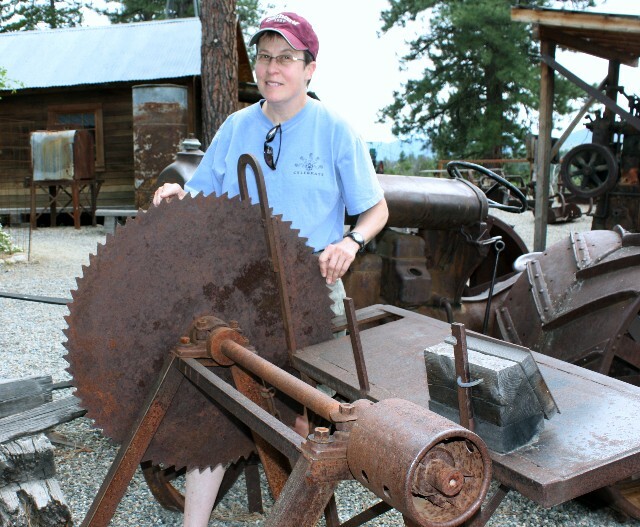 Today we visited the Shafer Museum which features the machines used in the early 1900’s to do all kinds of stuff out here in the west. 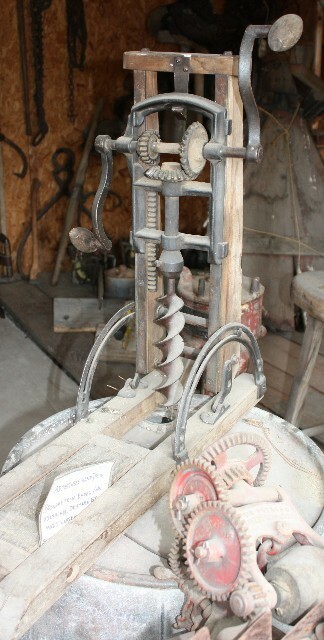 Most of the machines on display were used for mining. But, of course, they also need woodworking tools. Here’s a few shots of the things we found. A drill press, of course. The longest jointer plane I’ve ever seen. 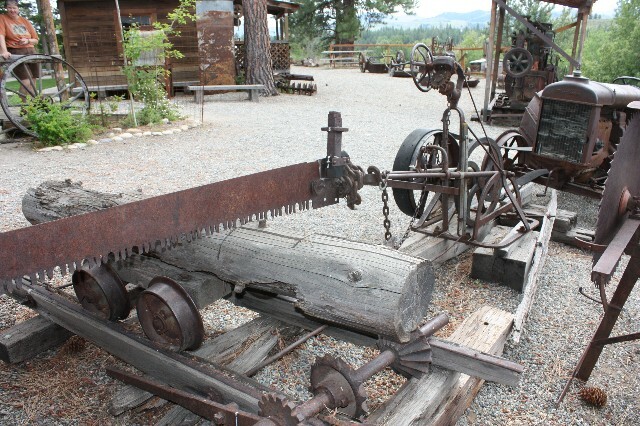 And then there were the “portable saws”. 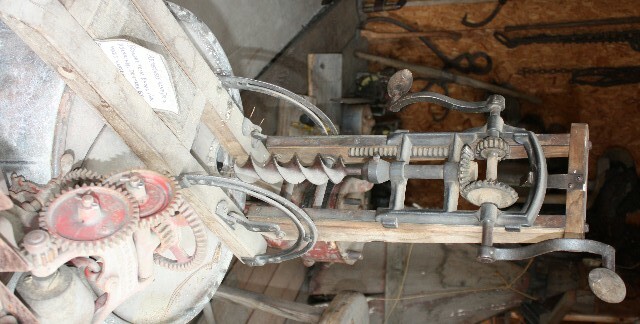 This entry was posted in Uncategorized and tagged old tools. Bookmark the permalink. Cool, I’ll have to check that out the next time I’m over in that area. Your projects are very well done. I like the wood choices you have used. I am in the Pacific Northwest (Anacortes) and wonder where do you buy your wood? I haven’t found a nearby source for hardwood. Well, if I was in Anacortes, I’d be going to Edensaw (40 miles away) for my lumber. It’s my favorite place to get lumber. There may closer places, but I’m not aware of them. If you go to Seattle, there’s always Crosscut and across the street, Compton’s. I haven’t been here yet, but I found out about this supplier not too long ago. They are in Bellingham, which isn’t too far from Anacortes. I didn’t know about this place. This is good to know as well. I love the old tools in any museum. These are a real treat. Razee jointers are a thing of beauty. 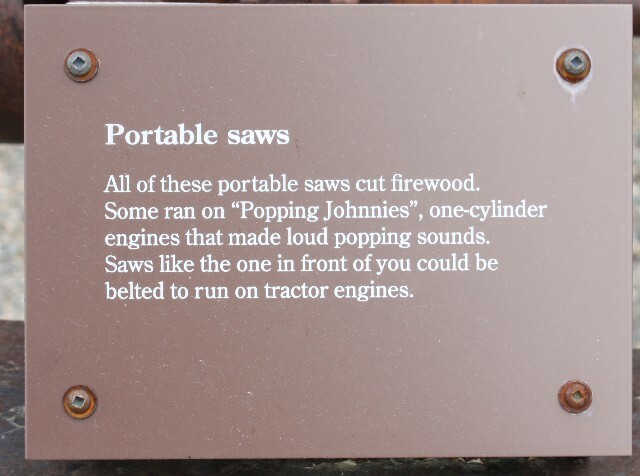 Glad I don’t have to use the portable saws though. Thanks for sharing your visit.